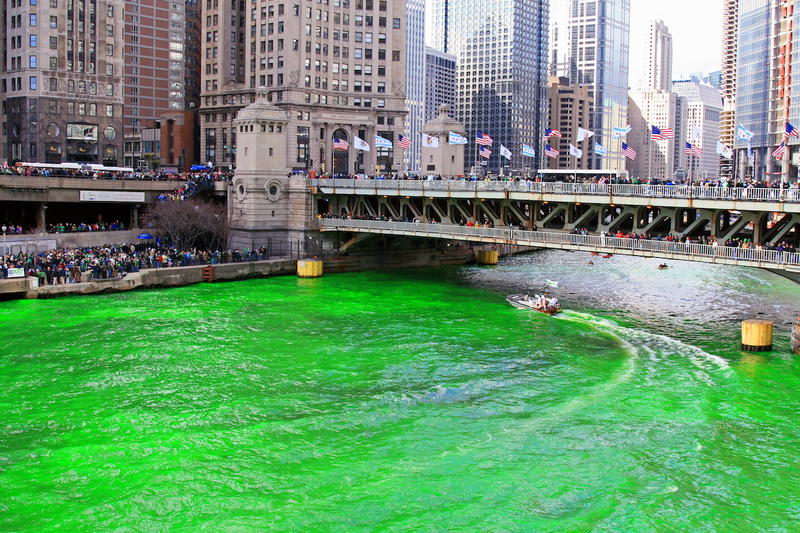 St. Patrick’s Day has more traditions than a leprechaun has gold – from dyeing the Chicago River bright green and boisterous parades soundtracked by bagpipes to putting shamrocks on everything and dressing up as the verdant saint. This year, restaurants are getting into the celebrations for the Apostle of Ireland on Saturday, March 17 and beyond by offering up traditional Irish fare, such as corned beef and cabbage – which became a staple in Irish-American homes in the early 19th century because both components were affordable and plentiful – fish and chips, and shepherd’s pie (also called cottage pie, the classic Gaelic dish sports beef or lamb stewed in gravy with root vegetables and topped off with a layer of mashed potatoes). 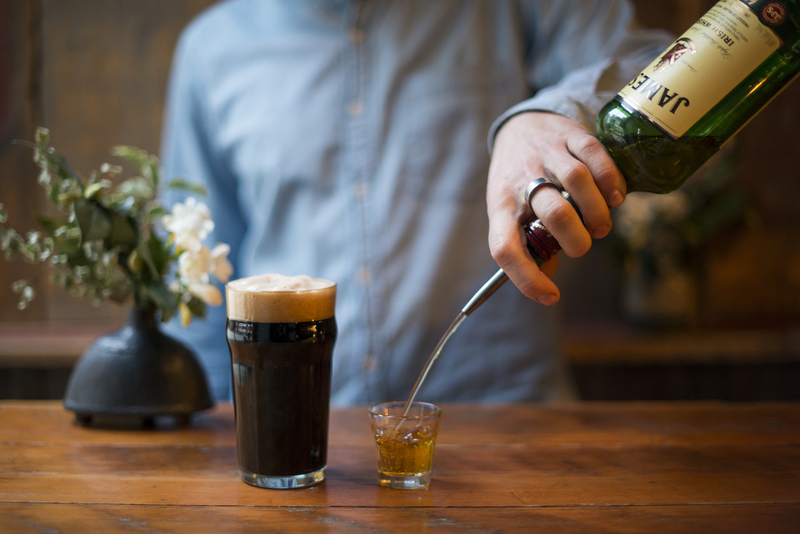 To wash it all down, there are cocktails highlighting Irish whiskeys and an ocean of Guinness – roughly 3 million pints are consumed that day alone and chefs love using it to fortify their dishes because you can never have too much stout when you’re toasting St. Paddy. 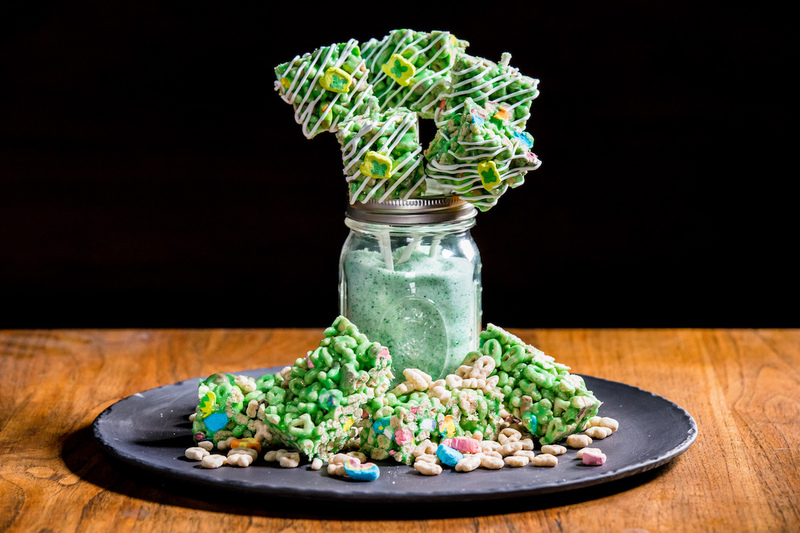 So, get into the spirit at these nine restaurants, which are offering up festive specials to help diners honor St. Patrick one sip and one bite at a time. 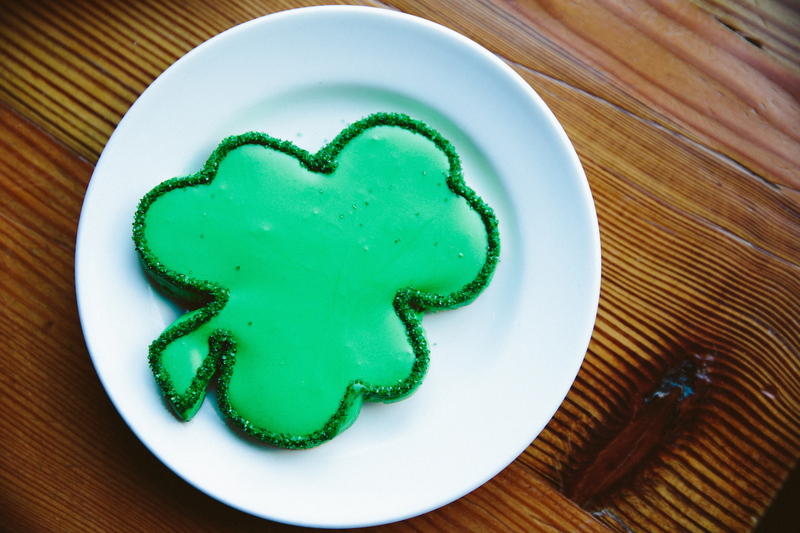 Get in the spirit of St. Paddy’s at the Get Lucky Brunch on Saturday, March 17 from 10:30AM-3PM. Enjoy themed cocktails – including Shamrock Shots, Bloody Whiskey Business, and Slainta Mar O’Rita – plenty of brunch fare, prizes for lucky guests, and music by Kid Slyce. Make a reservation at Trace. Say dia dhui (hello) to the Pump Room Grasshopper. Made with crème de menthe, crème de cacao, and cream, it’s sure to get you hopped up for St. Patrick’s Day. Make a reservation at Booth One. Indulge in a St. Patrick’s Day Afternoon Tea from Friday, March 16 through Sunday, March 19 from 12-5PM. 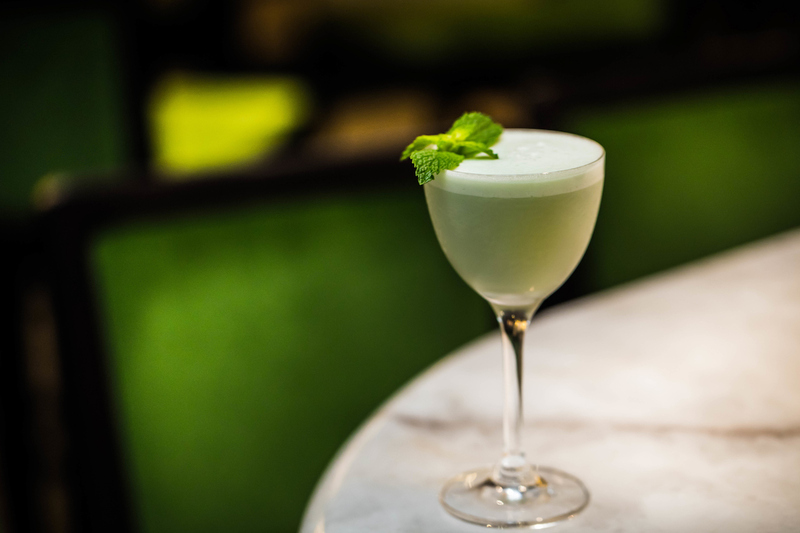 Get in the party spirit with Gaelic cocktails, including the lemon-kissed Shamrock Sour powered by Jameson Irish whiskey and a touch of Midori melon liqueur. Plus, there are eats galore – from mini corned beef sandwiches and Irish smoked salmon open-faced sandwiches to scones, Irish coffee fudge, and a decadent Bailey’s chocolate cream roll. Bonus: On Saturday, March 17 from 12-4:30PM there will be a performance from celebrated Irish harpist Erin Hill, who has played with Kanye West, Sinead O’Connor, and Enya. Make a reservation at The Palm Court. Start off by knocking back a pint of locally brewed Persephone dry Irish stout and a shot of Jameson Caskmates. Properly fortified, you can then enjoy Irish-inspired fare, like a Guinness doughnut with whiskey caramel, smoked sockeye salmon on brown bread slathered with dill cream cheese, and a full Irish breakfast. Available on Saturday, March 17 only. Make a reservation at Wildebeest. Toast St. Patrick’s Day with Mr. Barley throughout March. 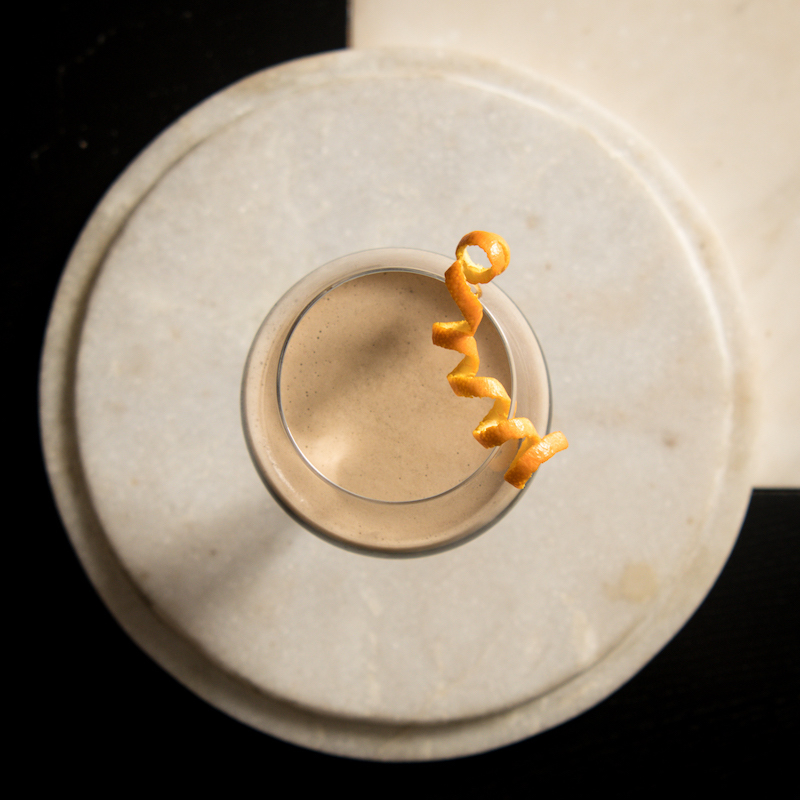 This fetching and forthright cocktail is forged from bourbon, Cointreau, barley malt syrup, and a Guinness float. Sláinte! Make a reservation at Upstairs at the Gwen. Get busy with this swizzy! 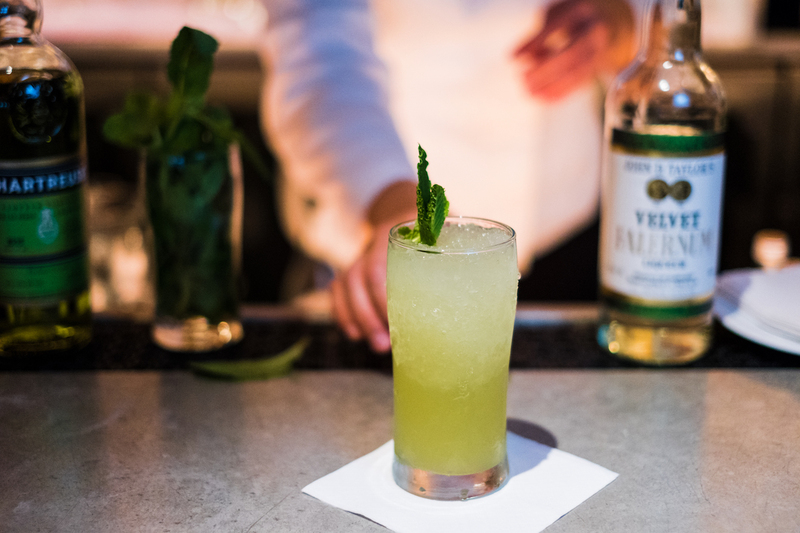 Made with Velvet Falernum, green chartreuse, pineapple juice, and lime juice the Chartreuse Swizzle is the perfect way to toast the day. Make a reservation at Le Zoo. Sweet tooths looking to get into the St. Patrick’s spirit should look no further. These clover-shaped cookies are ridiculously cute and super delicious. Make a reservation at Beatrix. In case you feel like you’re not drinking enough on St. Patrick’s Day, this legendary Irish pub is infusing some special dishes with even more booze. 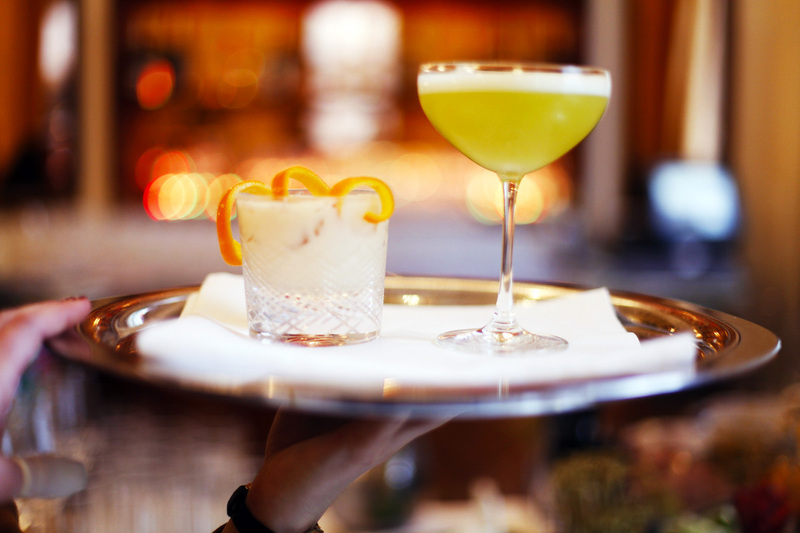 We’re talking gin and tonic-seared salmon, whiskey-braised beef cottage pie, and mussels and Irish-style chips sitting in a Guinness butter broth, plus the restaurant’s beloved shepherd’s pie made with their two-decades-old secret recipe. Make a reservation at Mustang Harry’s. 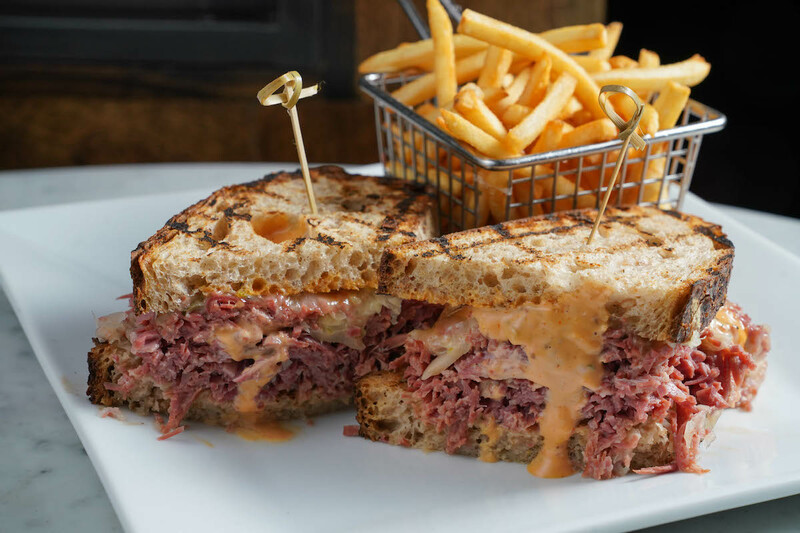 Irish heritage is on full display on the special St. Patrick’s Day menu, which features a hearty Reuben, Guinness beef stew, fish and chips, and cocktail specials. 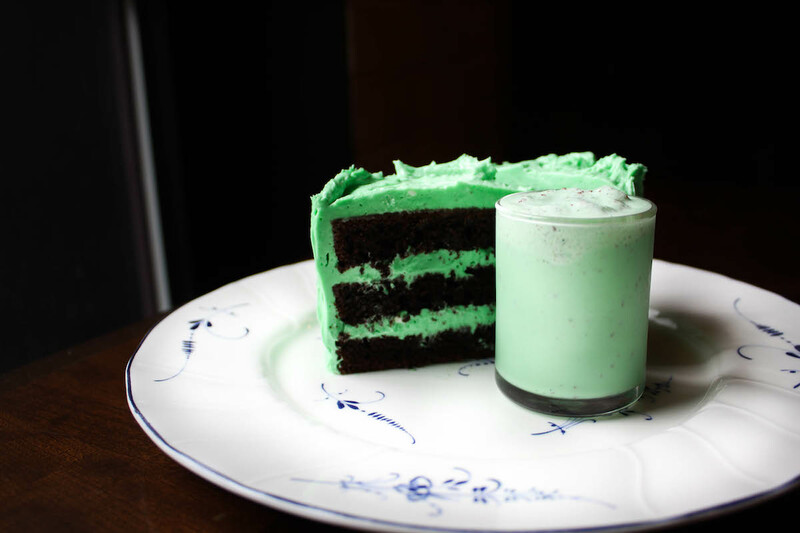 Finish off your celebrations with a slice of Guinness stout cake iced with mint cream cheese frosting and a miniature mint chocolate shake. Available from 2PM–12AM on Saturday, March 17. Make a reservation at Beacon Tavern. Where are you headed for St. Patrick’s Day? Tell us here or over on Facebook, G+, Instagram, Pinterest, or Twitter. And, remember to snap + share your #dishpics with us on Instagram for a chance to win in our weekly giveaway. Photo credits: Christina Slaton (Booth One); Brogan & Braddock (Mustang Harry’s); Andrew Hektor (Le Zoo); Jonathan Norton (Wildebeest); Elizabeth MacMahon (The Palm Court); Ben Porter (TRACE). Guess there were too many Boston restaurants that are serving traditional and innovative St Patrick’s Day items for you to even begin to highlight!